Early Morning Magic is an opportunity to experience select attractions and enjoy a nice breakfast before regular park opening. 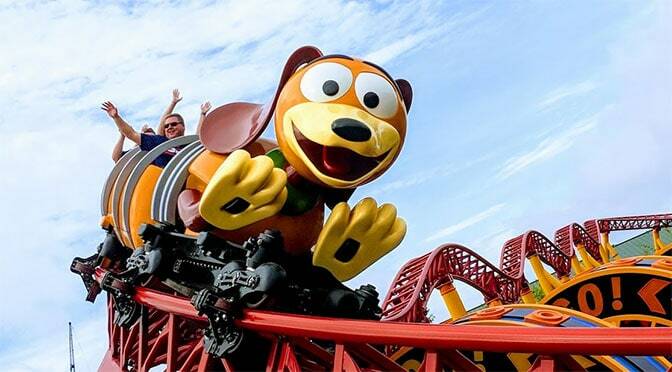 There is an additional cost involved, but getting access to Toy Story Land in Hollywood Studios with very few guests can offset the cost involved. Here’s the details. Guests with a 7:30 AM reservation will begin in Toy Story Land and breakfast will be available from 8:30 AM to 10:00 AM. Other reservation times may be available based on capacity. If using Walt Disney World Transportation, please confirm transportation schedules as reservation times may be outside of transportation operating hours. Please allow up to 1.5 hours to get to your destination when traveling within Walt Disney World property. I would book my Fastpasses for Rock n Roller Coaster, Tower of Terror and Star Tours and the remainder of the day in Studios will be pretty simple with characters and shows. Will these events affect the crowds in the park? Absolutely NOT. These events are available to very few people and do not affect park attendance at all. Call (407) 827-7350 or visit this link at Disney World’s website to purchase today. I’ll be adding these dates to my Crowd Calendars today as well. Now the dates are there but no availability. I’ve been checking daily. Do you think they aren’t allowing booking yet? Does anyone know why emm wasn’t offered for Monday November 5th? Do you think tsl early morning magic will extend into 2019? If they were to continue this into March any idea when dates would be released? Today was my dining day and nothing….. for mickeys bbq either! As I posted previously, Mickey’s Bbq is closing. Kenny—have you noticed several dates have a 7 and 7:30 time slot? Dates are 10/29, 11/7, and 11/26. What do you think the reason is for that ? I was looking at times this morning and the $79 does not include tax for October dates. I am seeing $79 x 2 ($158) and $10.28 tax for a total of $168.28. Want to do this but don’t want to miss out on meeting Vampirina at Hollywood and Vine Breakfast. What do you think the odds of Vampirina being in Animation Courtyard by early December? Do you think It wil extend to next spring??! hopefully its a hit and continues like at MK I’d love this in May!!!! Booked mine for December! Thank you!! I know there is an advance payment foe this, but is there a timeframe that you can cancel, and receive a refund? Just saw on Disney website this is nonrefundable. Sorry for so many posts. Just booked for 10/29, and my email says there is a 1-day cancellation policy. Woo hoo! If you have the choice between EMM or Disney After Hours, go with DAH. We did it in Feb and it was well worth it. Longest wait was at the lines that had the complimentary popcorn. Waited about 12 minutes for 7D. Everything else was literally walk-on. We did EMM in December with no wait for 7DMT, rode it about 11 times. Just bought our tix for November. We were going to do EMM at MK but our date got cancelled so this is a nice replacement! Same-our early morning magic got cancelled too. The extra cost is ridiculous…. aren’t these the same extra morning hours that used to be free? Extra magic hours are free. Early morning magic has a charge. It’s at MK too. Is there an AP discount on the tickets? Don’t love the extra cost but if they extend this to the end of February I’ll probably look into it to save time! Any word on if they’ll extend past the current end of December date?